Kenshi's appearance isn't the exact same as the image above. For starters he doesn't have the scaly texture depicted at skin and has plain white skin with some tone. This skin appears to be extremely pale and not a natural white like some characters depicted in the original story. He wears the same type of glasses, the thin-round rimmed glasses that. He has grey hair that matches his skin but the hair is short but laid down and unkempt like it is in the picture. He doesn't have the purple outlines around his eyes but instead of normal pupil less eyes he has grey/white eyes and a normal black pupil. This cosmetic defect makes him look normal and not like a Hyuuga at all. When he activates Byakugan this trait goes away and he has the normal grey/white eyes and pulsing veins. Instead of wearing an Akatsuki robe he wears a hooded purple robe with long zipper down the middle, just like in the series. There is no outside appearance on the hood except for an Akatsuki logo on the outside. He also has a plain purple robe that has no designs on it and is unmarked. Underneath the robe he wears the normal purple no sleeved vest, and a brown fabric wrap around the waist. This wrap is normally slanted upwards and right. The undershirt is a normal grey rolled sleeve shirt to complement the colors of his hair. He's about 5'8" 143 pounds of lean muscle. He seems to be very toned and small in stature, not like a normal 'man' figure with extremely built muscles. All in all, he fits the bill of a medic with his lack of physically appearance. Combined with this skin color its implied that he's the type of individual who stays in a lab all sorts of hours never getting any sun. He wears a crossed out Konoha headband under his robe. Most of the time he doesn't wear it at all, keeping it in his pocket but if he does wear it, it's wrapped around his shoulder and under his robe. He normally wears the same clothes most of the time and if relaxing or something he wears everything without the robe. The only accessories he has are the glasses that he wears which are unique to him and match his character perfectly. The robe he normally wears makes him look shorter than normal since it falls to his feet and sometimes covers them completely. He appears to drag lazily across the ground as if he is shuffling his feet. Even though the fabric may touch the ground, it normally will fall short near the shins like a normal robe if he is planning to be in some sort of battle or situation where he doesn't need to worry about tripping. His close range style is normally hidden through the fact that the robes hide his hands most of the time and the fact he appears to be a lazy individual who doesn't look for fights much. Being a very lazy individual Kenshi keeps to himself and doesn't interact with others. He's the introverted type, with a few close friends. Most of the time he doesn't say anything to anyone that's a stranger unless it's absolutely needed. Even though he is the silent type, the bookworm type he isn't a stranger to making humor or being slightly cocky and arrogant sometimes. Another trait about his overall personality is his ability to lie through his teeth and calmly do it. Most people he meets are not taken serious and thus suffer from the inevitable punishment of lying. His main habit with new individuals and some friends sometimes is to lie to throw them off so they can leave him alone. He's the type to not want information about him spread. Being a medical ninja, Kenshi likes to study and experiment a lot. Even within the group's inner workings or around the Akatsuki he keeps some type of medical or at least literary book in his hand. When it comes to experimenting and actually realizing his knowledge in a physical format, he takes extreme caution and becomes as a shinobi would. Casting aside his lazy and uninterested attitude, his full focus and attitude change. Even in his studies you can see hints of these changes. Hopefully the Akatsuki members are strong enough to not normally need medical attention. If they were to ever come under his need for medical attention during his studies, he's sure to not find a bookmark or not want to move at all to help them. There are only a few things that make someone like him excited. One of the most easiest way to make kenshi fall under a good attitude is to present him with a workable corpse or somewhere that he can easily get a few of them. Whether it be messy with blood, or already drained Kenshi takes no time to hesitate to begin experimenting. Some of his experiments are not normal. Most medical shinobi would begin experimening on specific organs or parts of the body for a specific type of result. Kenshi likes to play around, injecting household cleaning objects into experiments and has fun keeping himself occupied with those results. Some thought as simple as 'What if I were to inject someone's eyeballs with bleach?' is nothing short of fun. This weird interest in medical knowledge is what makes him. Even though the answer could simple, it's going through each and every bodily process which makes it interesting. Kenshi was born of two individual branch members of the Hyuuga clean found in the Hidden Leaf. Wanting to escape the trivial problems of their lives and live an unrestricted one, the unnamed lovers were able to escape the village on a mission and they decided to never come back. With the Byakugan being an important piece of artwork for the village and an important treasure for the Hyuuga clan, it was decided that they should be immediately disposed of. Due to their skill with the Byakugan, Kenshi's parents were able to elude the Leaf Village for a solid year, the same year in which Kenshi was born. Since they had been living the opposite of their dream-life, the ability to take care of a baby as small as Kenshi and run from the village provided to be too much. Within months it became easier for Konoha to track them and finally catch them. As they caught them, Kenshi being no more than a month or so old was taken back to the village and raised as a normal Hyuuga. Passing grades were something that wasn't a big concern for him. Kenshi spent most of his time in the Academy since he was allowed to start a bit earlier due to needing a place to stay because he had no parents or anyone to watch him. A lazy slacker as Kenshi spent most of his time sleeping in class, ignoring lectures and getting straight failures every single report card. Since nothing was remotely interesting to him, his Chuunin instructor at the time decided to have him sit and speak with different types of ninja that specialized in different areas of ninja techniques. Being interested in medical techniques, Kenshi's attitude didn't change but his work ethic towards graduating did. He was able to complete most of his homework in short periods which allowed him to sleep during class and live the same life as before but with grades that would allow him to pass into becoming a genin. After being pushed to become a Chuunin under his master, Kenshi decided that the title of Chuunin meant he could do whatever he wanted to do. With a physical body that could now keep up with his evermore booming interest for everything medical, he could now tap into the vast world he had studied so hard for. Being born from two runaways left him a branch member without a curse mark embedded onto his head. As he began to learn more about medical ninjutsu he began to visit and even successfully sneak in morgues to do research on shinobi whom had died or been killed by Konoha ninja. This research and interest in the anatomy of a ninja was a splendid start to a dark career. He began to loose focus and wander off the Konoha path. No longer did he care whether they were old comrades or old men, as long as he could get the materials needed ot research and test his knowledge he would do it. Combined with his nonchalant attitude and lazy build, he quickly became a problem. When confronted by his peers and other ninja about his actions, Kenshi avoided them at first, simply ignoring them and moving on. The issues however were not able to move on and only got bigger and bigger in the absence of Kenshi's ability to properly deal with the situation. This lead to him being confronted and questioned as a terrorist of the village, someone who w could have possibly been a spy and someone who needed to be placed on trial immediately. During this time, the amount of jutsu he had learned was an adequate amount, enough to get him out of the village and away from harm. Using his skill he was able to escape the village and run away from the Leaf Village, keeping himself hidden ever since. After meeting Heiki Kurayami in the Fire Country, he began to work under someone who could appreciate a good medical student trying to ascertain his goals. Being apart of the Akatsuki was not a joke, Kenshi knew this was serious business. He soon mentally cut ties with all of the people in his memories of Konoha, shoving them down into the infinite recesses of his brain. Being a son born of traitors he never had too many connections. 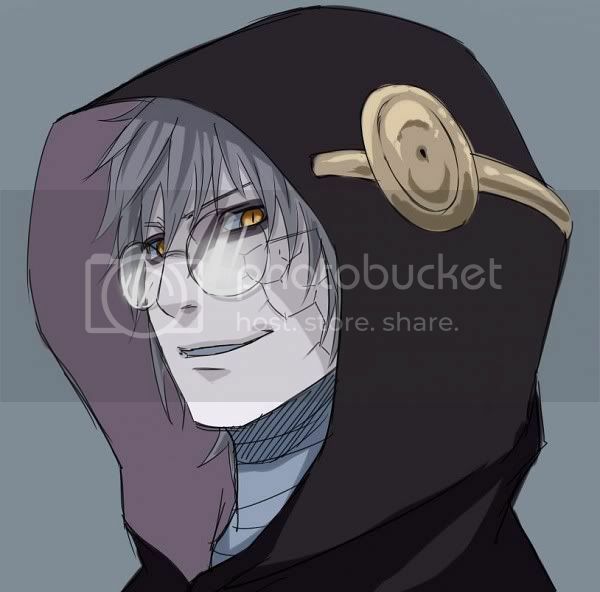 Now his only one is Heiki Kurayami, as an apprentice of the Akatsuki's own leader. Key Events: I don't do this? I was suppose to be the akatsuki's Hyuuga D: Approved. eh u can have it, i don't rly feel like posting. you can have this character if you want. 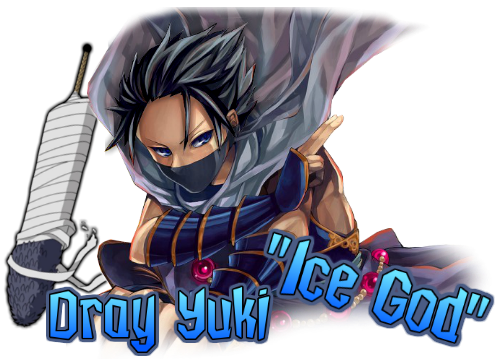 I my main charrie is Hyuuga I was thinking of joining the Akatsuki but it's not an issue.